BOOK BLURB: Mahima is a teacher leading an ordinary life until the arrival of a new principal at her school. The new principal makes life miserable for Mahima and all the other teachers. Choosing not to be a victim, Mahima unites the teachers and inspires a mutiny against the principal. However, the principal will not go down without a fight. Will Mahima and her colleagues be able to rid the school of the devious principal? Will good triumph over evil? REVIEW: Mutiny at Primrose High is a story about the struggles and problems faced by school teachers and how they overcome these problems. Mahima Bakshi, is English teacher at Primrose High, one of the leading schools of Ahmedadbad, Gujarat. Mrs. Anita Menon is appointed as principal, who is in her mid-fifties. As soon as she join school as principal, she starts changing many rules of the school which disturbs the teachers. Mahima follows those rules with her colleague Purna and others as she don't have any option to go against such rules which sounds irrational to her. Mrs. Menon tries her best to break the unity of teachers and do whatever she feels is right, without thinking about the teachers and children. Mahima with her colleagues decides to stop Mrs. Menon's wrong doings in smart ways. I would like to appreciate her intelligence to deal with the tactics of Mrs Menon. To know whether she is successful in her attempt or not, you'll have to read the book. This story inspires us to always stand against wrong, no matter what your position is in any organisation. It also proves that if we have strong determination to stand against wrong, nobody can stop us. Also this story again strengthens my belief that unity is strength. I enjoyed reading this unique story. The language used is simple. This book is worth reading and I would recommend this book to all readers who are looking to read different story. 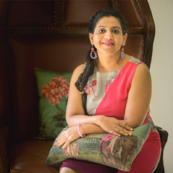 Meghasi Bhatt is an English and social studies teacher residing in Ahmedabad with her husband and her son. She studied law and practised it for several years before becoming a teacher. Though Meghasi always nurtured ambitions of writing, her career and her family kept her occupied. 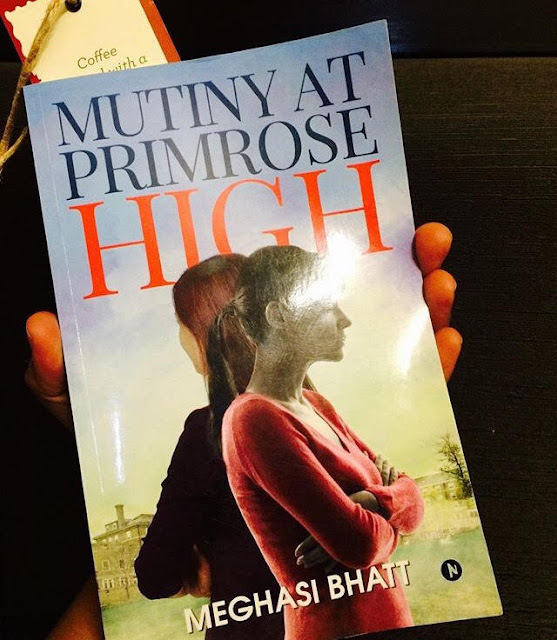 Mutiny at Primrose High is her first novel and the realisation of a childhood dream. In her free time, Meghasi is a voracious reader and will literally read anything that she can get her hands on. She is also an avid traveller and loves going on vacations with her family.